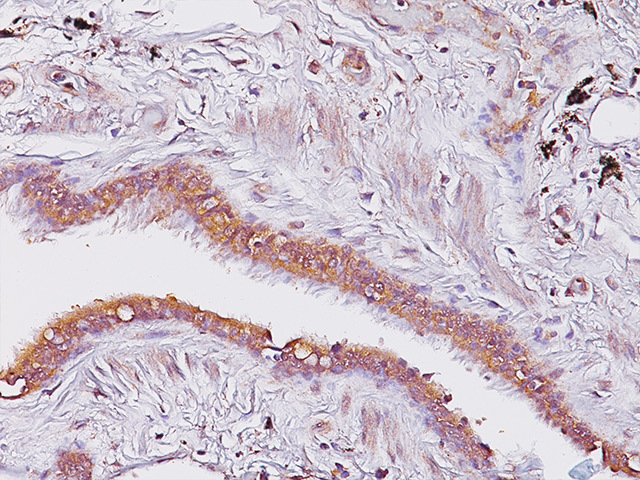 Programmed death 1 (PD-1) is a cell surface co-receptor in the CD28/CTLA-4 T cell family and functions as a down regulator of the immune system through a dual mechanism of inhibition (1). 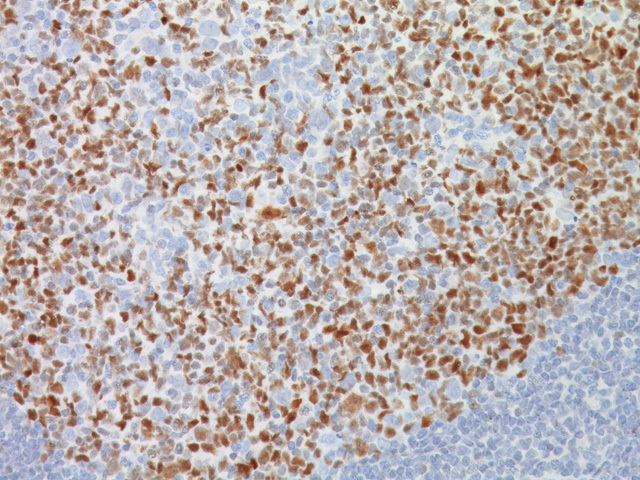 PD-1 is expressed on the cell surface of activated T- and B-cells. Anti-tumor immunity may be controlled by the PD-1/PD-L1 signaling pathway. PD-L1, one of the ligands associated with PD-1, provides immunity for tumor cells by inducing apoptosis of activated T cells or by inhibiting cytotoxic T cells (1,2). Therapies that target the PD-1 receptor have shown unprecedented results with high levels of clinical response in patients with various cancer types (3). 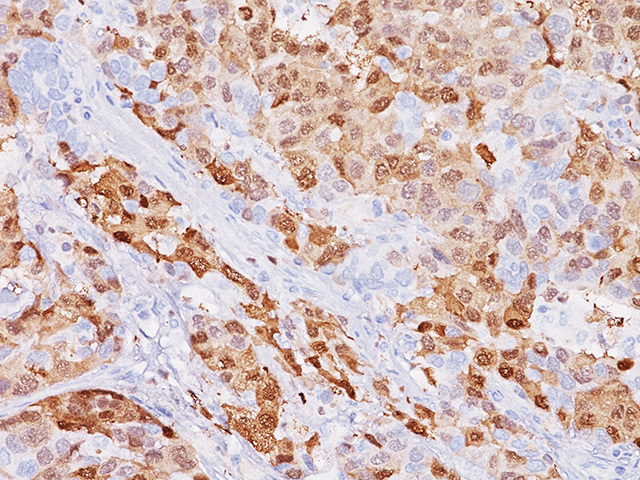 The presence of PD-1 positive tumor-infiltrating lymphocytes (TIL) has been associated with poor prognosis in human breast cancers and may be useful in antibody therapy targeting the PD-1/PD-L1 signaling pathway (1). Treatments targeting PD-1 and its ligand, PD-L1, have also shown encouraging results in non-small-cell lung cancer, renal cell carcinoma and melanoma (4-6). 1. Muenst S, et al. 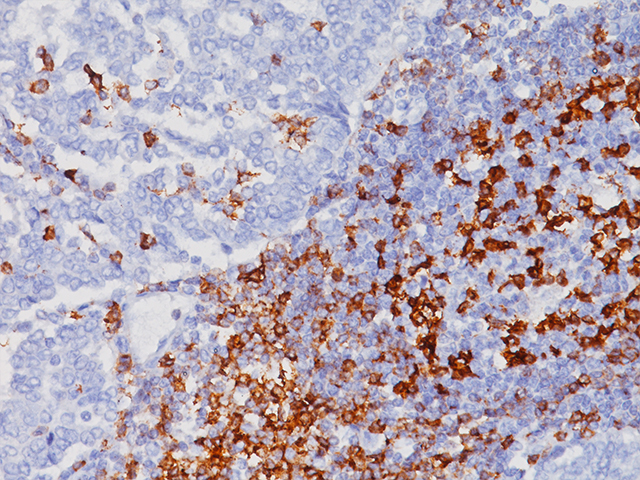 The presence of programmed death 1 (PD-1)-positive tumorinfiltrating lymphocytes is associated with poor prognosis in human breast cancer. Breast Cancer Res Treat. 2013 Jun; 139(3):667-76. 2. Kim JW, Eder JP. Prospects for Targeting PD-1 and PD-L1 in Various Tumor Types. Oncology. (Williston Park). 2014 Nov; 28(11 Suppl 3). 3. Tumeh PC, et al. PD-1 blockade induces responses by inhibiting adaptive immune resistance. Nature. 2014 Nov 27; 515(7528):568-71. 4. D’Incecco A, et al. 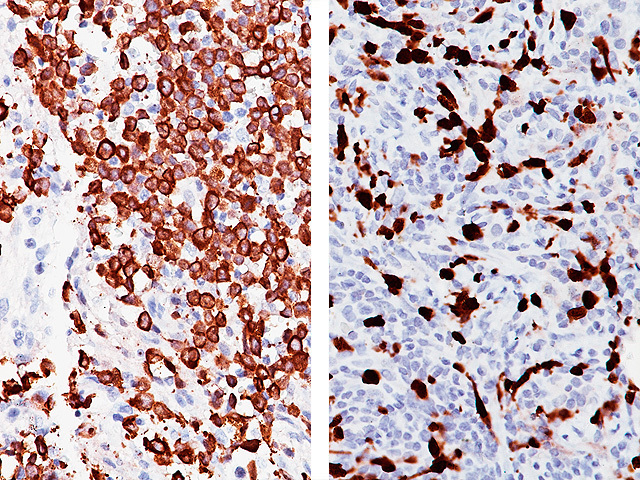 PD-1 and PD-L1 expression in molecularly selected non-smallcell lung cancer patients. Br J Cancer. 2015 Jan 6; 112(1):95-102. 5. Tykodi SS. 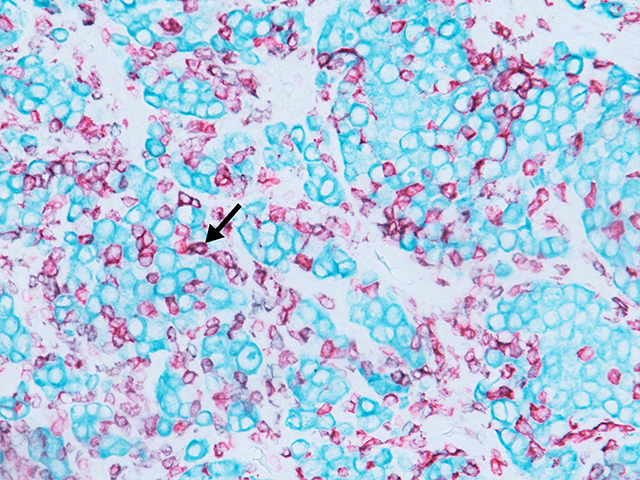 PD-1 as an emerging therapeutic target in renal cell carcinoma: current evidence. 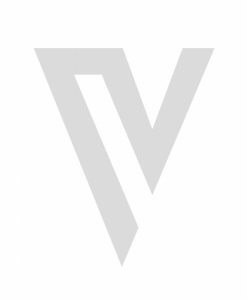 Onco Targets Ther. 2014 Jul 25; 7:1349-59.